If you’ve spent any time around the gaming scene (and if you are here, the chances are pretty high that you have), then you are undoubtedly familiar with the infamous carrot. You know, that prize that most modern MMOs dangle in front of you to entice you to continue playing the game. Levels, gear, whatever — you can see the prize, but you gotta work your arse off to have any hope of reaching it. Thanks to the proliferation of themeparks, Chasing the Carrot is possibly the most prevalent feature in any MMO. But I’m here to tell you — shinies are much better than carrots! While I am not about to say that having and striving for goals is bad, there reaches at point when many players get tired of the rat race in games. You grind for your ultimate rewards in life, then you come home and grind for your ultimate reward in game. Play becomes work, and it’s not uncommon for players to come to resent, even loathe, that carrot even as they are working toward it. Or, of course, give up altogether and go do something else. It’s not even that players are teased mercilessly with the prizes that are simply unattainable. 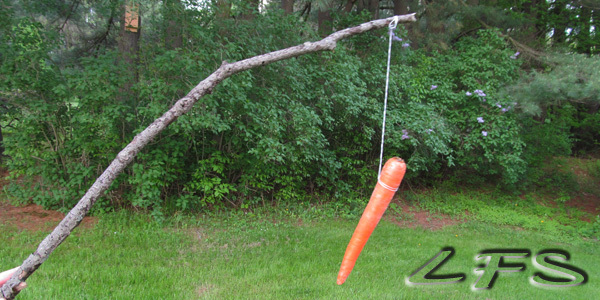 Unlike the caricature of the carrot always remaining just outside of reach, I believe many games do reward players with their carrot after a point. The problem is, players rarely get to munch on the sweet goodness of their treasure before a new, tastier one is dangled out in front. At this point, players toss aside the one they finally nabbed and start the race for the next one, the unsatisfied hunger driving them on to the bigger, juicer carrot in their sights! As much as you crave that thrilling feeling of accomplishment from finally snatching up that carrot, it’s fleeting; the rush is gone as soon as you set your eyes on your next carrot. There is always another carrot to chase… except when there isn’t. Herein lies the problem. When games use the carrots feature as a form of development, carrots are the expectation! Devs painted themselves into a corner, forced to continue to dangle new prizes out in front of players or lose their audience. Without new prizes to strive for, those who have been trained to always seek out the next big reward start looking elsewhere for their fix. Focusing on developing a game with shinies, therefore, prolongs a game’s lifespan. With shinies, players can play the game for the games sake and be randomly rewarded along the way. And once addicted to the thrill of shiny discoveries, they’ll play more just waiting for that next one to crop up; you never know when or where the next reward will come, so you want to keep going. Not because you have to, but because you want to. In carrot-tease land, folks can’t just enjoy what is happening in the here and now — to find joy in the journey. It’s always, “I’ll be happy when…” You know what? Happiness never comes in that scenario because the “when I” always changes to the new carrot! Conversely, shinies specifically draw attention to the immediate part of the journey. There’s no destination to chase, just something to experience right now. My opinion: I think folks could find a lot more contentment and fun in games if they focused on shinies instead of carrots. Except, of course, for those people wired to carrot hunt. Me? I prefer the journey to the destination, and I revel in those little surprises that pop up. So bring on the shinies!